7. 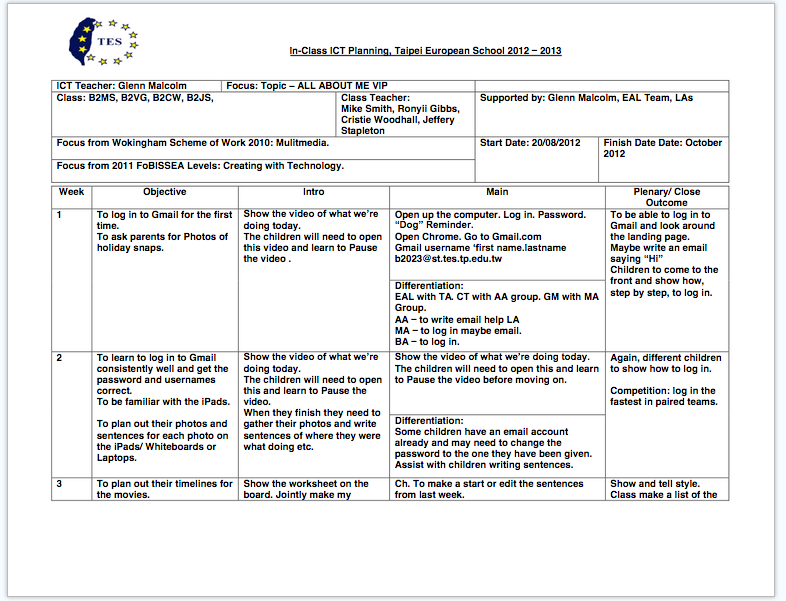 Lastly, to put it into the correct folder in their class dropbox area. This criteria was set out at the beginning with the teachers and would only really work with them alongside me and our Learning Assistants guiding the children to build their master pieces. The biggest challenge here is the size of the year group. With nearly 90 children we had to call up the parents for photos of them very early in the term. This would give them at least 2 weeks to get the photos to us. A little tip here if you need to collect this amount of photos from a large base of people - set a filter in Gmail! This is what we sent to parents. Due to the equipment we’re using we can only accept digital copies via email. Please do not send any hard copies or links to an online gallery. If you need to digitize please take a photo of a hard copy and send that digital copy. Send as an attachment only. This will help us separate the emails and attachments at speed. The part in bold is your filter. Set this up so that it's looking for attachments and the term VIP and all should be good. You can then auto send to a folder or set other parameters in ifttt.com if you use this site. I found that if you try to do this type of thing manually then you end up with all sorts of mishaps. 2. Audio. Rehearsing. Sound levels. 5. Video ending - upper ability/ EAL only. This was then finalised for the show piece for parents and the "VIP" day. They are then transferred to our Vimeo Gallery for those parents who couldn't attend.